Overall, women and girls may exhibit fewer of the typical symptoms associated with ADHD in boys. For example, girls with ADHD are more likely to be reserved than hyperactive. They tend to be less defiant and more compliant than boys and men with the condition. Like boys and men with ADHD, however, women with the condition may have difficulty completing tasks and remaining organized. Instead of being tested for ADHD, they’re often dismissed as flighty or spacey. Thus, because girls are less likely to disrupt class—the kind of behavior that often brings boys with the condition to medical professionals’ attention—girls are less likely to get diagnosed with ADHD. Consequently, many girls and women do not get the help they need. Often, girls’ self-esteem suffers as they encounter academic problems in school. They may have difficulty with interpersonal relationships as well as social challenges. Although no one knows for sure what causes ADHD, the condition does run in families, suggesting a strong genetic component. Children who have a parent with ADHD are at an increased risk for ADHD themselves. And twin and adoption studies confirm a high degree of genetic connection with this condition. For identical twins, there is a strong chance the other twin has it. Again, this “family resemblance” appears strongly related to genes rather than social factors. Many researchers around the world are now investigating various genes that may contribute to the development of ADHD in families. It is unlikely a single gene is responsible, but undoubtedly many genes, operating interactively with one another and with environmental risks. ADHD is a serious diagnosis that can have a tremendous negative impact on your life, work and family. It may require long-term treatment with counseling and medication, so it’s important that a health care professional carefully evaluate all symptoms to rule out other conditions that could cause similar symptoms or behaviors. The diagnosis itself, however, must be approached very carefully and shouldn’t be done during a time-limited office visit with a pediatrician or other medical doctor. Improper treatment from misdiagnosis or failure to obtain treatment because of a missed ADHD diagnosis can both have significant, long-term consequences. To reach an ADHD diagnosis in children, health care professionals use diagnostic criteria published by the American Psychiatric Association (APA) in the Diagnostic and Statistical Manual of Mental Disorders, 4th edition (DSM-IV-TR) and consider information from other sources. For example, interviews with the patient, the patient’s family and, in the case of children, information provided by caregivers and teachers who see the child regularly can provide a picture of the patient’s behavior and learning styles. Not everyone who is overly hyperactive, inattentive or impulsive has an attention disorder. Nor does everyone with ADHD exhibit all behaviors associated with the disorder. It’s important to realize that during certain stages of development, it may be normal for children to be inattentive, hyperactive or impulsive, and that these behaviors at these stages don’t fit an ADHD profile. For example, preschoolers typically have lots of energy and run everywhere they go, but that doesn’t mean they are hyperactive. And many teenagers go through a phase when they are messy, disorganized and reject authority. This phase doesn’t necessarily persist as a lifelong problem with attention, organization and/or impulse control. Because everyone exhibits some of these behaviors at times, the DSM-IV contains very specific guidelines for determining when the behaviors indicate ADHD. Specific symptoms must appear early in life, before age seven, and continue for at least six months. In children, they must be much more frequent or severe than in others the same age. Above all, the behaviors must create a real handicap in at least two areas of a person’s life, such as school, home, work or social settings. However, it’s important to know that the inattentive type of ADHD may not be diagnosed until age nine or 10, the age when symptoms of inattention become noticeable and problematic because school demands have increased. So if your behavior or your child’s doesn’t impair work, friendships or other relationships, you probably won’t be diagnosed with ADHD. Nor would a child who seems overly active at school but who functions well elsewhere. Other conditions may occur with ADHD, making it more difficult to arrive at a clear diagnosis. Women and girls with ADHD, for example, are more prone to depression than men and boys with ADHD. A serious but treatable mental disorder, depression can disrupt all areas of your life, including mood, sleep, appetite, relationships, and the ability to think clearly. If you think you’re suffering from depression, it’s critical that you get a diagnosis and proper treatment. Left untreated, depression can be life-threatening, given the risk of suicide that accompanies the disorder. Anxiety is another common condition seen in those with ADHD. Some children with ADHD, for example, feel tremendous worry, tension or uneasiness, even when there’s nothing to fear. Because the feelings are scarier, stronger and more frequent than normal fears, they can affect the child’s thinking and behavior. Children with ADHD are also more likely to have achievement problems than children without the disorder, even if they don’t have a full-blown learning disability. ADHD is not in itself a learning disability but learning disabilities commonly occur with ADHD. But because it can interfere with concentration and attention, it can make it doubly hard for a child to do well in school, creating lifelong frustrations. A very small number of people with ADHD have a rare disorder called Tourette syndrome. People with Tourette syndrome have tics and other involuntary movements like eye blinks or facial twitches they can’t control. Some may grimace, shrug, sniff or bark out words. Fortunately, these behaviors can be controlled with medication. It doesn’t matter if the child with ADHD is male or female; parenting either is equally stressful. Overall, mothers of children with ADHD report significantly higher levels of parenting stress than mothers of children with other chronic disorders, and they’re more likely to become depressed. Some research looks at the concept of executive function (EF). This involves the ability to organize, sequence a task, shift from task to task, prioritize, plan and anticipate, and hold information in your memory as you consider multiple factors when making a decision. Some researchers consider executive dysfunction inherent to ADHD, while others consider it a separate category as defined by neuropsychological test results. Children and adults with ADHD plus EF deficits show more academic and life impairments that those with ADHD without EF dysfunction. ADHD medication, although helpful for ADHD symptoms, has much less beneficial effect on EF symptoms. Skills-based therapies are more useful in these cases. Pediatricians are physicians who have specialized training in treating children’s illnesses. Like family practitioners, pediatricians may or may not have specialty training in or experience with ADHD. Because ADHD is most prevalent in children, it is likely that a pediatrician will have experience in the ADHD screening process and can help rule out (or identify) medical conditions similar to behavior or learning patterns of ADHD. Pediatricians can also provide referrals to local ADHD specialists. Within each specialty, individual health care professionals and mental health professionals differ in their knowledge of and experience with ADHD. So when selecting a health care professional, it’s important to find someone with specific training and experience in diagnosing and treating the disorder and distinguishing coexisting psychiatric disorders. An effective treatment plan will help you cope with ADHD, whether you or your child is the one with the diagnosis. For adults, the treatment plan may include medication along with practical and emotional support. For children and adolescents, it may include providing an appropriate classroom setting and accommodations, as well as medication and helping parents understand and manage the child’s behavior. Stimulant medications, when used with medical supervision, are usually considered safe. Stimulants seldom make children with ADHD “high” when taken as prescribed. Because these medications are stimulants, there is no sedating effect. However, restlessness and fidgetiness may decline leaving the person feeling “calmer.” Ultimately, the stimulants help children control their hyperactivity, inattention and other ADHD-related behaviors. Stimulants do carry the risk of abuse and addiction. However, abuse and dependence with ADHD stimulant medication are more likely with short-acting forms. To reduce chances of substance abuse, make sure you or your child is getting the right dose of stimulant medication at the needed time of the day. Do not put your child or adolescent in charge of his or her own medication. Keep medication locked in a childproof container at home. If a school time dose is needed, don’t send supplies of medication to school with your child; instead, deliver medication to the school nurse or health office yourself. (Strattera). The first non-stimulant medication approved to treat ADHD, Strattera is classified as a selective norepinephrine reuptake inhibitor. It works by blocking norepinephrine in the brain, thus leading to greater amounts in the synapse when the medication is used. Overall, Strattera has been shown to lead to significant improvements in individuals with ADHD, but the benefit may be less substantial than stimulants. Other additional medications are sometimes used to treat the condition if stimulants don’t work completely or if the ADHD occurs with another disorder. These medications are not approved for the treatment of ADHD, yet many have been shown effective in at least some studies. Medication won’t cure ADHD; it will just control the symptoms while you’re taking the medication. For instance, stimulants have only immediate benefits, so once a dose wears off that day, the symptoms return. Also, although the medications may help you pay better attention to and complete your work, they can’t increase your knowledge or improve your (or your child’s) academic skills. As the expression goes, “Pills don’t teach skills.” The medications alone can’t make you feel better about yourself or cope with problems. These issues require other kinds of treatment and support. Although ADHD primarily affects a person’s behavior and cognition, the disorder has broad emotional repercussions. Scolding is the only attention some people with ADHD ever get while growing up. They may have few positive experiences to build their sense of worth and competence. Facing the daily frustrations that can come with having ADHD can make people fear that they are strange, abnormal, lazy or stupid. Often the cycle of frustration, blame and anger has gone on so long it becomes incorporated into one’s self-concept. In such cases, mental health professionals can help adolescents and adults with ADHD develop new skills, attitudes and ways of relating to other people. Often successful treatment will help a person separate the disorder (ADHD) and its symptoms/impairments from the individual and their innate strengths and potential. Support groups connect people who have common concerns. Many adults with ADHD and parents of children with ADHD find it useful to join a local or national support group. Many groups deal with issues of children’s disorders, and even ADHD specifically. Try to create an “ADHD-friendly” environment in your home and work. If you can approach your ADHD with acceptance and good humor, tensions will decrease and you’ll save more energy for the positive side of things. Simplify your life. Look for ways to reduce commitments so you’re not always pressed for time. Learn how to better prioritize tasks to avoid overcommitment. Build in daily breaks. This is essential when you have ADHD, especially if you’re raising children. Make them routine so that you don’t have to keep planning and juggling. For example, arrange for a regular babysitter several times a week. Create filing systems or organizational systems that work for you. Color coding folders is a fast visual way to identify what’s in them. Set up autopay for bills, provided you have money and won’t overdraw accounts. Don’t let yourself be overwhelmed at home or at the office by mountains of paperwork: sort, file or discard. ADHD, once called hyperkinesis or minimal brain dysfunction, is the most common psychiatric condition among children. More than two times as many boys as girls are affected in childhood; however, in adults it’s almost equal proportions. Medication can help to control the core symptoms: hyperactivity, impulsivity and inattention. But more often, there are other aspects of the problem that medication won’t alleviate. Even though ADHD primarily affects a person’s behavior and cognition, having the disorder has broad emotional repercussions. Currently, ADHD is a diagnosis made in people who demonstrate chronic and persistent symptoms across a number of settings. Although people identify with some of these symptoms at different times in their lives, ADHD is a disorder starting in childhood that usually persists into adulthood. Childhood onset (or early adolescence, in the case of the inattentive type) is the cornerstone of the diagnosis. There is no such disorder as “adult-onset ADHD,” although some adults with this condition may not have been diagnosed as children. I have trouble focusing on tasks and often feel overwhelmed during times of extreme stress. Does this mean I have attention deficit hyperactivity disorder (ADHD)?Not necessarily. Stress can cause symptoms similar to ADHD, such as forgetfulness or feeling overwhelmed and disorganized. Reactions to stress are usually temporary and subside when stress subsides. These symptoms should not be confused with ADHD symptoms or behaviors, which are long lasting and persistent. Are bad parenting skills to blame for ADHD?No. ADHD is a complex neurobiological disorder that affects learning and behavior. 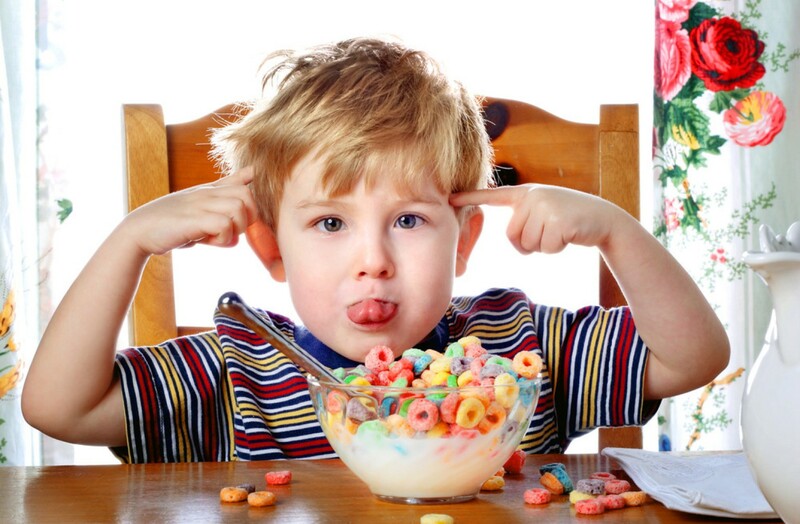 Too much TV, poor home life, poor schools or teachers, food allergies or excess sugar do not cause ADHD. International research demonstrates the presence of ADHD in children regardless of culture and parenting. Still, how a family responds to their child’s ADHD may go a long way in shaping the child’s ultimate outcome. Biology is not destiny. Does ADHD only affect children? I think I recognize some symptoms in myself.No. Until recent years, adults were not thought to have ADHD, so many adults with ongoing symptoms have never been diagnosed. There has been a recent increased awareness of adult ADHD, however. About half of children with ADHD continue to have impairments through adulthood. The recent awareness of adult ADHD means that many people can finally be correctly diagnosed and treated. What causes ADHD?Scientists are not sure what causes ADHD, although genetic and neurobiological factors are clearly involved. Health care professionals stress that because there is no known cause, it is far more important for a woman and her family to move forward with treatment and identify ways to manage her lifestyle in areas affected by ADHD than to search for a cause. Can stimulant medications be abused?Although stimulant medications are recognized as a safe and effective treatment for ADHD when taken as prescribed, these medications, like many others, nonetheless do have the potential for abuse. Stimulant medication has been misused by people without ADHD. They take these medications to increase alertness and focus but also to gain a “high.” Substance abuse and dependence does not develop in people who take their medications as prescribed. You should discuss the risks and benefits of stimulant medication with your health care professional. If you have a history of substance or alcohol abuse, this should be discussed with your physician to choose the right course of treatment and medication. My relationship with my husband has suffered because of my ADHD. Is there anything I can do?Yes. Because adult women often suffer for many years without help for their ADHD, their personal relationships can become strained. Health care professionals usually recommend counseling for women and their families, along with medication treatments. A therapist can assist you and your family in finding better ways to deal with your ADHD and reduce the frustration of the non-ADHD spouse/family member. Is ADHD a learning disorder?No. ADHD is a specific psychiatric disorder that can occur with a coexisting learning disorder. Learning disorders do not, in general, improve with medication. Intelligence and ADHD are separate entities. People with ADHD can have a broad range of IQs. Regardless of IQ, most ADHD individuals feel frustrated at not living up to their potential because of the impairments.